Our hand painted porcelain Shabbat candlesticks are trimmed in 18 karat gold and are a unique and beautiful Bat Mitzvah gift, wedding gift or anniversary gift. You can customize the candlesticks with our hand painted rosebud design. On one candlestick, Bev hand paints in Hebrew the blessing over the Sabbath candles. 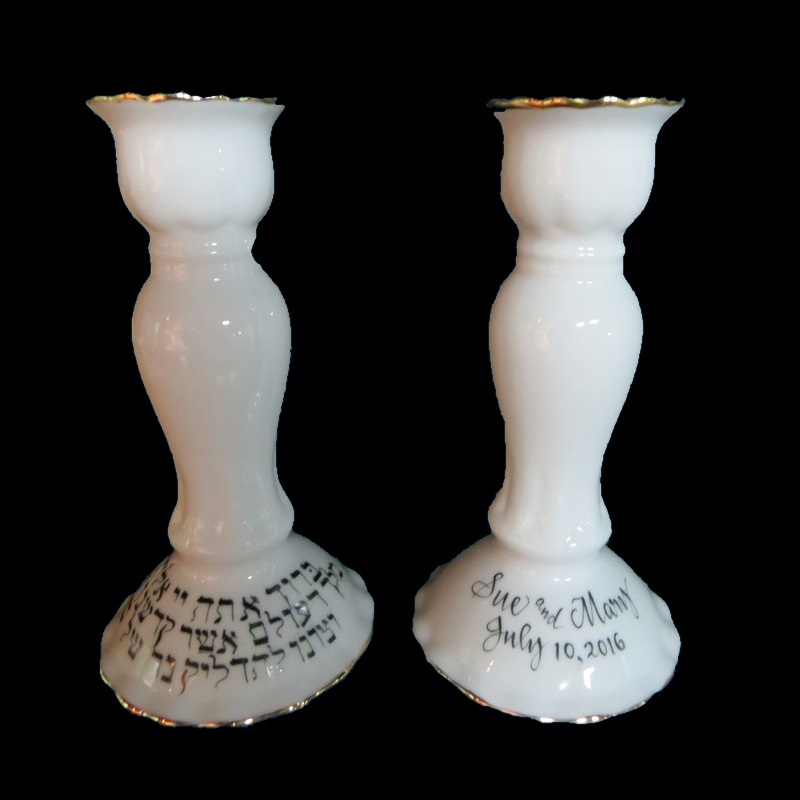 On the other candlestick she handpaints an individual or couple's names or initials along with the date of their special occasion.. To make these Shabbat candle sticks even more special, a personal message can be inscribed on the bottom of the gift. For example, " Mazel Tov! Wishing you love and happiness always. - The Carp Family." A gift box with tulle ribbon and and enclosure card is complimentary with your purchase.